The cover for The Infinite Sea, sequel to Rick Yancey's The 5th Wave, has been revealed. You can see a larger image of it over at USA Today, along with an interesting interview with Rick Yancey. (Note: Although Yancey tries to be careful not to spoil anything, I think it does give some clues about the second book). The 5th Wave was an excellent book about the aftermath of an alien invasion, although one of the themes of the book is that this alien invasion is not a anything like what you would expect from movies and TV. ("...not-your-grandma's alien invasion," as Yancey says in the interview). You can read my review of The 5th Wave here. 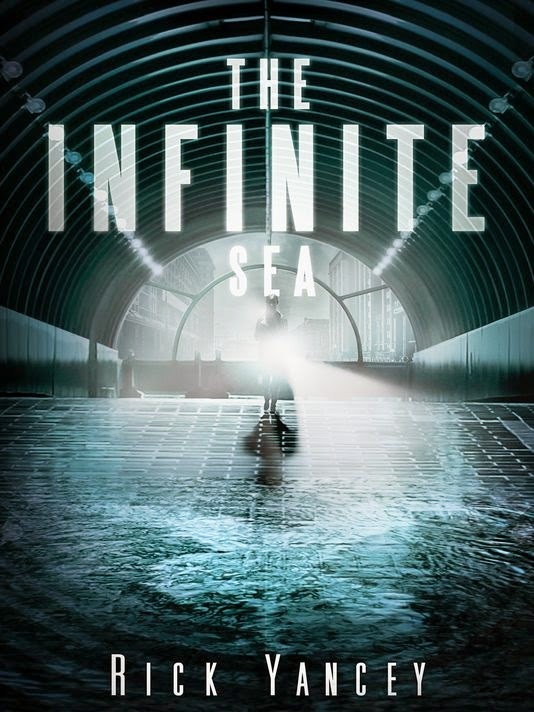 I'm really looking forward to reading The Infinite Sea, which will be published September 16. I'm particularly excited that Yancey mentions in the interview that there are still some plot twists, as one of the things I loved about the first book was the layers of surprising reveals. Also, Yancey talks about the 5th Wave movie in the interview, and it sounds like that's making progress.